My most popular recipe in 2013 -- and my fourth most popular of all time -- is my grandmother's made from scratch pound cake, or what we refer to as loaf cake. Instead of making one cake, make multiple cakes by baking the batter in miniature loaf pans. 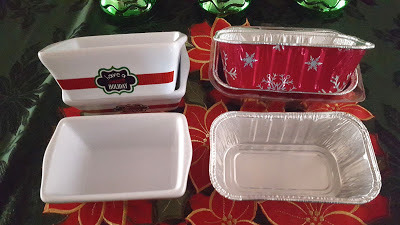 A nice touch is to bake and give the loaves in holiday themed pans like the ones pictured below. The number of cakes will vary depending on the size of the pans you use. The mini loaves will bake faster so remember to reduce the baking time.